Like other destinations in Florida —Orlando, Miami and the Keys— there are plenty of reasons to travel to West Palm Beach, a city that has established itself as the Sunshine State’s exciting new hot spot. 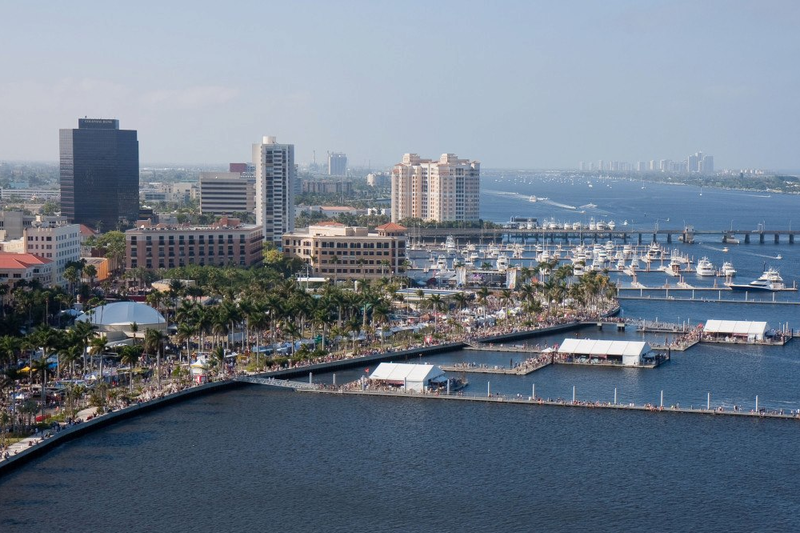 West Palm Beach delivers the greatest of what Florida has to offer in one dynamic city! Surrounded by beautiful tropical beaches, eclectic dining, intriguing museums, galleries, theatres, and gardens. Nearly perfect year round weather and an exciting variety of outdoor and cultural attractions make West Palm Beach a unique destination to visit for a fun-filled family vacation or quick romantic getaway. West Palm Beach is the nightlife hub of Palm Beach County. Along the hottest street in the city, Clematis Street, there’s a weekly public party every Thursday from 6PM to 9PM that kind of sets the pace for what to do in Downtown WPB, including CityPlace and the Historic Clematis District. This friendly party features live prestigious local bands and excellent variety of foods, making the event a phenomenal social opportunity to meet locals and even make new friends. Among other reasons to travel to West Palm Beach —especially if you intend to discover the best of natural Florida— will be its natural spaces and parks. Some of them are home to unique attractions like Lion Country Safari and Grassy Water Preserve. But there’s a plethora of other unique and interesting things to do and festivals that are as varied as they are exciting. West Palm Beach is bursting with events celebrating the rich history of the area, and has become an emerging hub of arts, culture and entertainment. Sports activities and relaxation are other reasons to travel to West Palm Beach, specifically in the Winter Season.The city neighbors Wellington Village which holds the Winter Equestrian Festival. The Jim Brandon Equestrian Center hosts Florida Quarter Horse Association and Gold Coast Dressing Association shows. There are over 170 public and private golf courses in Palm Beach County and many of them are in West Palm Beach. They have been designed by the best names in the industry, with something for golfers of every skill level. A wealth of luxurious spas recognized internationally for their rejuvenating treatments abound in The Palm Beaches. One of the most renowned spas in the Greater West Palm Beach include the upscale Anushka Salon & Spa. If you come to West Palm Beach during the summer months of June to August, besides spending time in the beach, join the masses on Clematis Street, where live music and open-air restaurants provide the mood for vacationers. The peak season goes from December to May, getting packed between March and early May. The cheapest flights to travel to West Palm Beach can be found during the summer between June to August and fall months of September to November. If you need help planning your trip to West Palm Beach, VisitWPB makes planning your next trip easy with access to the best hotels, top vacation packages, deals on car rentals and more! Getting around the city is easy too. There’s a trolley system that connects Palm Beach International airport to CityPlace, Downtown West Palm Beach and other districts like Northwood Village and the new Palm Beach Oulet, the main shopping center in the city. Museums and Art Centers are top reasons to travel to West Palm Beach. For example, The Norton Museum of Art has a permanent collection of more than 5000 pieces (including works by Matisse, Warhol and O’Keeffe), important Chinese, pre-Columbian Mexican and US Southwestern artifacts, plus wonderful contemporary photography and regular traveling exhibitions. The Kravis Center for the Performing Arts is a large, modern complex with 4 performance venues hosting a range of national and local productions. The Kravis features performances from classical to the cutting-edge, including ballet, pop, jazz, Broadway, opera and more. Exquisite shops, fine dining, some of the nation’s top musical entertainments like SunFest – Florida’s largest waterfront music festival – fashionable bars, nightclubs, a revitalized downtown with an eclectic mix of specialty shops, restaurants, art galleries, music venues and special events; water parks, golf courses, a zoo, boat shows, music concerts, festivals, miles of picturesque areas for hiking, biking trails, mangrove forests and other natural wonders for the eco-adventurer; waterfront sport activities and nearby beaches good for snorkeling and scuba diving. These are just a summary of the myriad attractions and things to do when you travel to West Palm Beach. Ready to discover all the fun awaiting you?